Jessica believes in interdisciplinary collaboration and design as a catalyst for change. That’s why she is always trying to learn different things. From astrology, to neuroscience, futurism, or art history, she seeks to collect points of view in order to discover her way of being part of the world. She graduated with honors in Design, where she also did scientific research about the relationship between urban art and the internet. After that, she got a specialization in Branding and a post-degree in Social Psychology in order to understand people better. She has already worked as a designer in several design and advertising agencies, and, for the past 5 years, she’s been working as a brand strategist, managing Telefónica and Vivo brands globally. 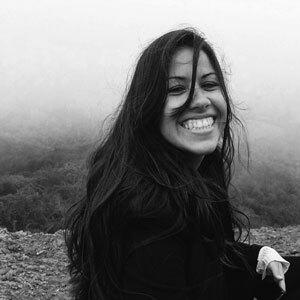 During her free time, she created an online platform to locate real-time food trucks and give tips about street food events around São Paulo. She has also developed a social project with two NGOs, called Pitada de Sol, to empower women through entrepreneurship. She is a solo traveler, backpacker, and amateur photographer who is into meeting new people and listening to their stories. Jessica is in love with art, people, the ocean and all those intricacies that makes us feel alive.